Enjoy the updated kitchen, with nice appliances, granite countertops, pendant lighting, and fully stocked with utensils, including microwave and coffee maker. The living area is bright and spacious, with comfortable furnishings, including a queen sofa bed, large flat screened television, and breakfast area that seats four comfortably. The outdoor balcony, with views of John's Pass Village, is the perfect place to enjoy your morning coffee or unwind after a long day. The serene master bedroom has plenty of room with one queen sized bed, one double bed, access to the balcony and ample closet and dresser drawer space. The nicely appointed second guest room has two double beds. The bathrooms, like all SunHost properties, are spotless and prepared for your visit. Linens, extra towels and pillows are stocked for your convenience. Free high speed wireless is also included as well as one parking spot. (No visitor parking). Of course, a top attraction is the premier location this condo offers. Near all amenities, including BBQ facilities, pool, and of course, one of the most beautiful beaches in all of Florida - Madeira Beach. John's Pass Village is directly across the street. This number 1 tourist is a quaint turn-of-the-century fishing village. The Village has over one hundred unique shops, a variety of restaurants, the local fishing fleet, dolphin watching and shelling tours, boat rentals, parasailing and jet skiing. Best of all as a SunHost customer you can walk to this great entertainment destination. Anchor tenants include Bubba Gumps, Hooters and Hubbards Marina and also world famous Bamboo Beer Garden. Condo needed some up grading, couldn't go out to patio door because carpet was so tore up door wouldn't open , only 3 burners on stove worked, walls and baseboard needed painted,carpet needed cleaned . Very disappointed in this condo this is the first one I felt this way always had Beautiful condos before at beach place. Overall we enjoyed our stay. The condo was very dirty on arrival. Carpets in bedroom not vacuumed, tile floor was not cleaned. There was food under dining room table and a dirty dish under one of the beds. Linens on bed could be better. There are no blankets just a bedspread and a sheet. There was food under the cushion on the deck furniture and the tables on the deck were not wiped off. One of the burners On oven didn't work. There was about 1/4 inch of dust on the wicker chair in the living room. The condo itself is fine nice for what we wanted but needs to be cleaned a lot better than it is. This property is beautiful. 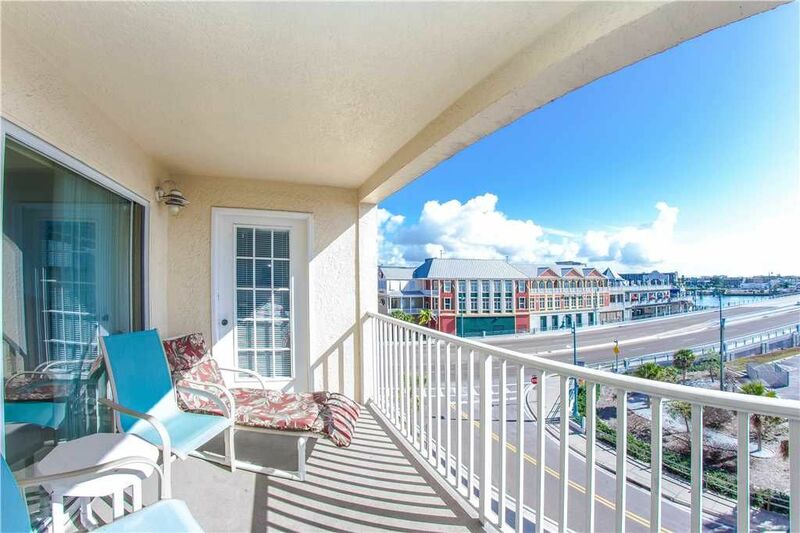 The condos have everything that you need including parking and is close to everything including the gulf with dolphins, the beach, shopping and restaurants and also has a wonderful pool for when you are sick of the sand. Beach place was an excellent choice for us. It is right next to johns pass with the shops and restaurants and directly in the beach. The condo was huge and equipped with all the amenities. We will definitely stay here again! Although it has a new sofa the chairs had holes in them with stuffing coming out, the furniture on the balcony had cracks in it which made you unsure as to the safety to it and the bed spread seemed old and worn out. The water pressure in the showers were terrible we couldn't even get the same or of our kids hair and we never really felt clean.